The 8th edition of an international evenings festival at the magnificent St. Vitus Cathedral in Prague. While exploring Prague and Prague Castle area, visit the 8th edition of an international organ evenings festival taking place in the magnificent St. Vitus Cathedral. Petr Kolař studied at Brno Conservatory. During his studies he actively participated in prof. M. Haselblöck’s interpretation courses in Lübeck, and later with S. Heller and M. Radulescu in Vienna. He was successful in several organ competitions (1986 Opava II. prize, 1988 Brno II. prize, 1989 Prague Spring III. prize, 1991 Deventer I. prize). After graduating in 1993 he began teaching organ play and improvisation at the Department of Spiritual Music at JAMU in Brno. Since 2000 he has been a lecturer at Brno Conservatory. He regularly cooperates with the Brno Philharmonic Orchestra and with other choirs and ensembles. He solo performs at home and abroad too. Throughout his musical career he has been working with choirs - the years 1995 - 2002 he was the choirmaster of the National Theatre in Brno. 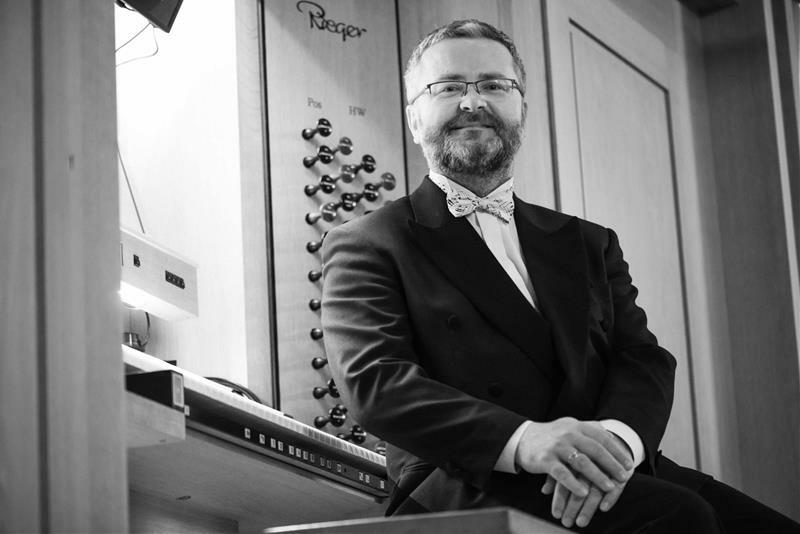 In 2001 he became the choirmaster of the Brno Philharmonic Choir “Beseda brněnská” and the conductor of the Orchestra of the Cathedral of St. Peter and Paul. In 2014 he established the Magnificat Singing Association. He has made several recordings. The latest CD he released is the recording of the original version of the Czech Christmas Mass "Hej, mistře" by Jakub Jan Ryba and “Missa pastovalis in D” by Jan Antonín Koželuha. He develops cooperation in the field of spiritual music with musicians of important Central European temples. In 1990 - 1997 he worked as a director of the choir and as an organist in the Basilica of the Assumption of the Virgin Mary in Brno. Since 1998 he has been the director of the choir and organist in the Cathedral of St. Peter and Paul. During the visit of Pope Benedict XVI in Brno in 2009, he led the musical ceremonial worship at the local airport. The Molzer organ, containing 4,500 pipes, offers the listener a rich, romantic sound. Since the St. Vitus Cathedral is used only for liturgical and touristic purposes, this festival is a unique opportunity to hear the full capacity of this instrument. Visit Prague Castle area with a guided tour. The magnificent St. Vitus Cathedral is situated in the Prague Castle complex. 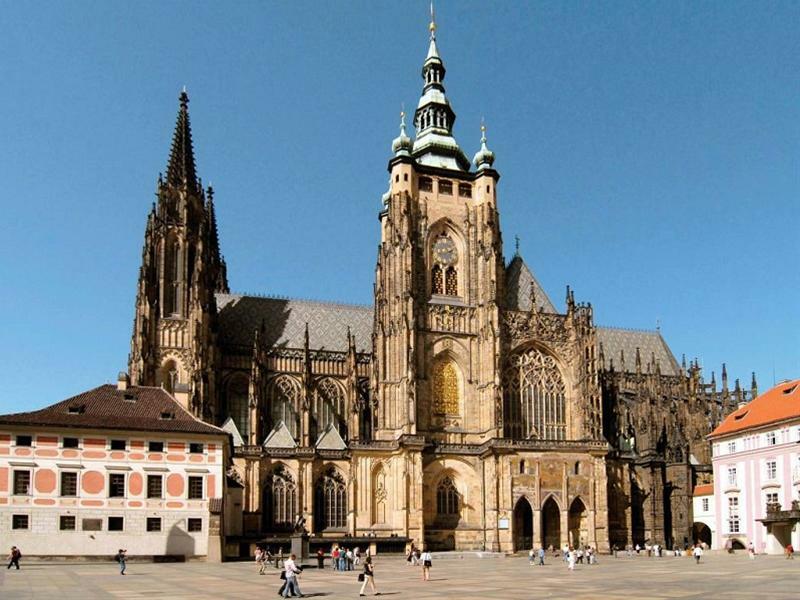 The cathedral was founded by the Emperor Charles IV in 1344 at the site of the former St. Vitus Basilica. While most European cathedrals were built within the city, the Cathedral of Prague grew up outside and far above the town, in the middle of the Prague Castle, which was not only the seat of rulers, but also kind of the sacred precinct with several churches. From the beginning the cathedral was intended as a prominent feature of the Prague agglomeration. In addition, it was built with great artistic and mystical aspirations. St Vitus, St Wenceslas and St Adalbert Cathedral is the seat of the Archbishop of Prague and the sacred place where the saints, Bohemian kings, princes and Holy Roman emperors are buried - i.e. St. Wenceslas, patron saint of the country, is buried in the Cathedral in St. Wenceslas Chapel, a masterpiece of Gothic art. Above the chapel is situated chamber guarding the crown jewels of Bohemian kings. The coronations of the kings of Bohemia were held in the Cathedral until 1836. The first architect Matthias of Arras, who was called by Charles IV from Avignon, mediated the model of the French cathedral architecture. Matthias´s successor, genius Petr Parléř, gived to the cathedral and its sculptural decoration features of artistic excellence. After the death of Charles IV the building was suspended and the cathedral remained a torso. The construction was not completed until the beginning of the 20th century, when the western part was completed and decorated by leading artists of the era (V. Sucharda, A. Mucha etc.). The St. Vitus Cathedral is an excellent example of gothic architecture and masterpiece of art. We recommend to arrive 40 minutes before the concert because of the security check-in spots within the Prague Castle area.